For this lesson, I analyzed character's feelings with my fifth graders. By discussing character's feelings, we were able to investigate how characters changed throughout a story, lessons the characters learned, and predict how the character might act in future situations. 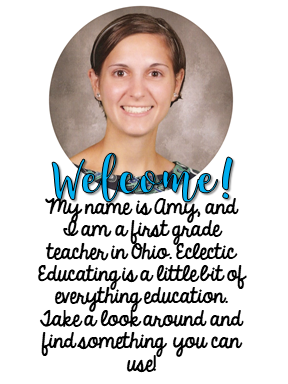 Before beginning this lesson, I had already discussed the difference between character feelings and character traits with my students. Character traits describe the character over the long term, whereas feelings change frequently and are in response to certain events. As with most of my lessons, we began with an anchor chart. This lesson emphasized how to provide evidence from the text to support our answer choices. 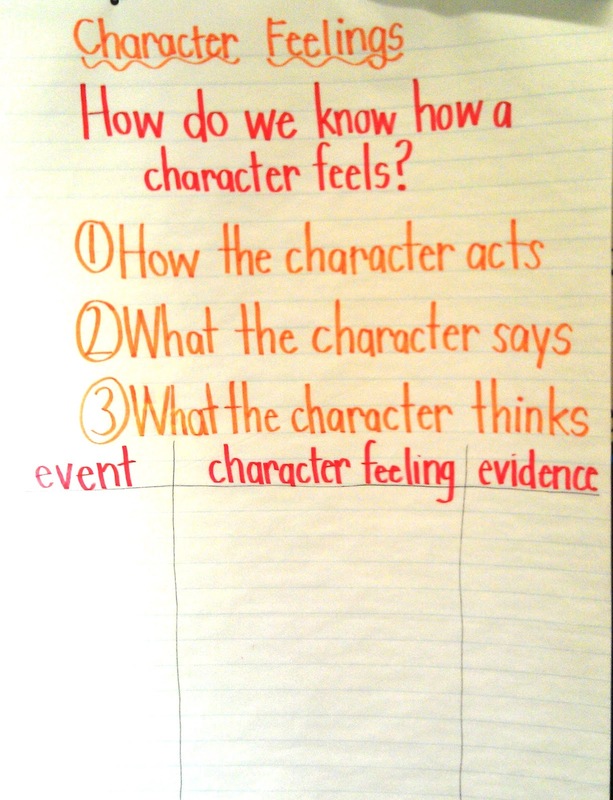 The anchor chart helped students find ways to prove how they knew a character felt a certain way. 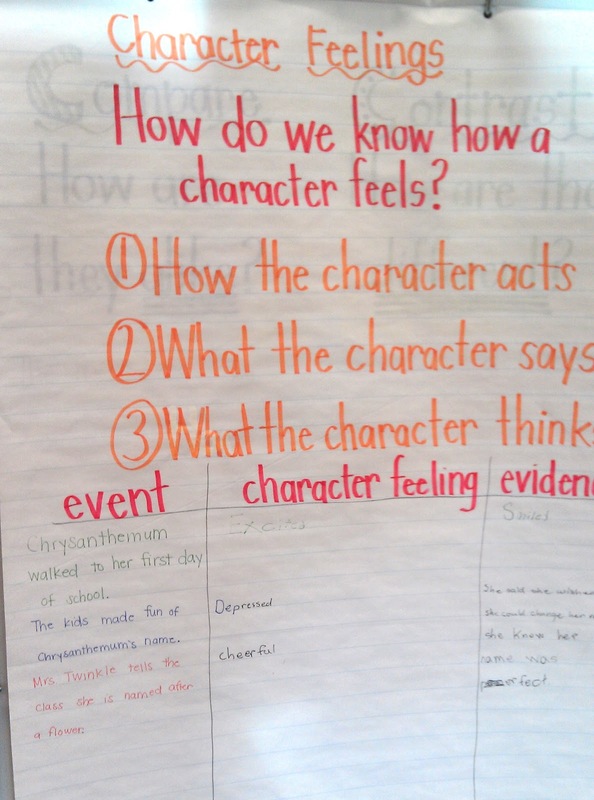 For this proof, we used: how the character acts, what the character says, and what the character thinks. For the modeling portion of the lesson, I read aloud Chrysanthemum. I picked out certain events from the story and added them to the anchor chart. Then, we identified how Chrysanthemum felt in response to that event and provided evidence from the text to support our answer. I modeled the first example for them. The completed anchor chart is pictured below. For this lesson, students were not allowed to use the feelings sad, happy, or mad. I knew that they could do much better! They came up with some descriptive feelings, such as depressed and cheerful. I was very proud of them. For guided practice, the students independently read the short story Shells by Cynthia Rylant. In this story, a boy's parents die and he has to live with his aunt. 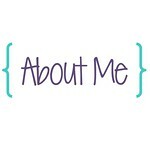 At first he does not like his aunt, but as the story continues their relationship begins to change. Together we completed a graphic organizer very similar to the anchor chart. Following each story, we also completed a short answer question in our reader's notebooks. For Chrysanthemum, we predicted how Chrysanthemum would act the next time someone made fun of her name and gave a reason why. 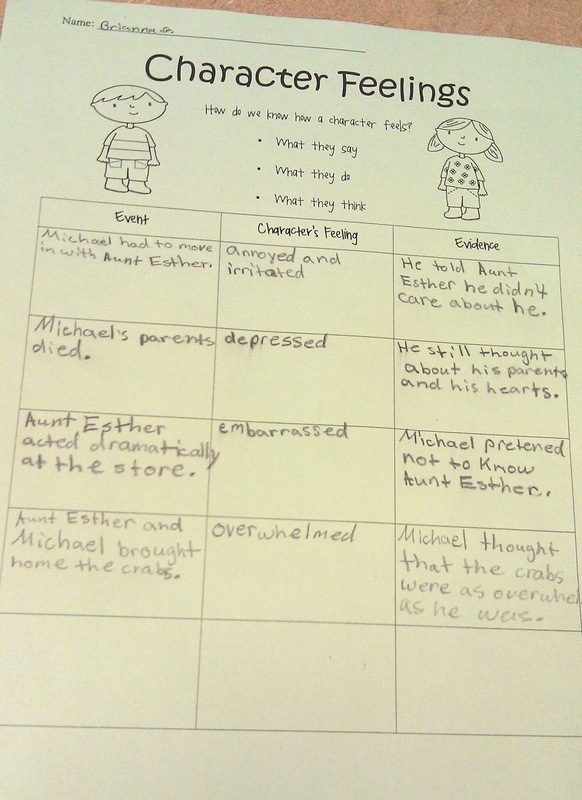 With Shells, we wrote about how the main character Michael changed throughout the story. 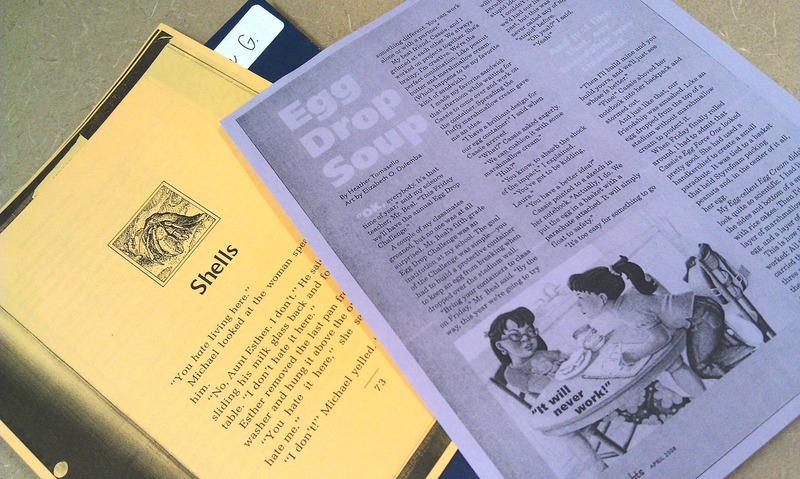 For Egg Drop Soup, we wrote about the lesson the two girls learned. 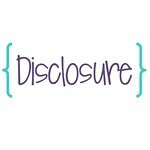 Overall, the lesson on character's feelings provided many opportunities for rich character analysis.